If the thought of going to the dentist fills you with fear or anxiety, you’re not alone. Many people experience “dental anxiety,” often to the point where they will neglect care or avoid making regular appointments entirely. But this only compounds the problem. Consistent dental care on a regular schedule can help prevent small problems from becoming big ones (and short visits from becoming lengthy or expensive procedures down the road!) However, if you’re avoiding dental visits out of fear, nerves, a strong gag reflex, past trauma associated with the dentist, or physical disabilities, there’s good news—sedation dentistry can help! Sedation dentistry is designed to accomplish one goal—to help you relax. It is much easier for a dentist to get work done when you are not tense or resistant. Feelings of relaxation and ease can also help to change the way you think about going to the dentist. If you’ve formerly struggled with dental anxiety, but have recently had positive dental experiences—thanks to sedation—you may be less likely to avoid the dentist in the future, putting you back into positive oral care habits. There are many types of dental sedation, from oral and IV sedation to the use of nitrous oxide to help the patient relax. Your dentist will be able to help you decide which solution is right for you. In most cases, you will remain calm and responsive while under sedation, but you will feel immensely relaxed and comfortable. 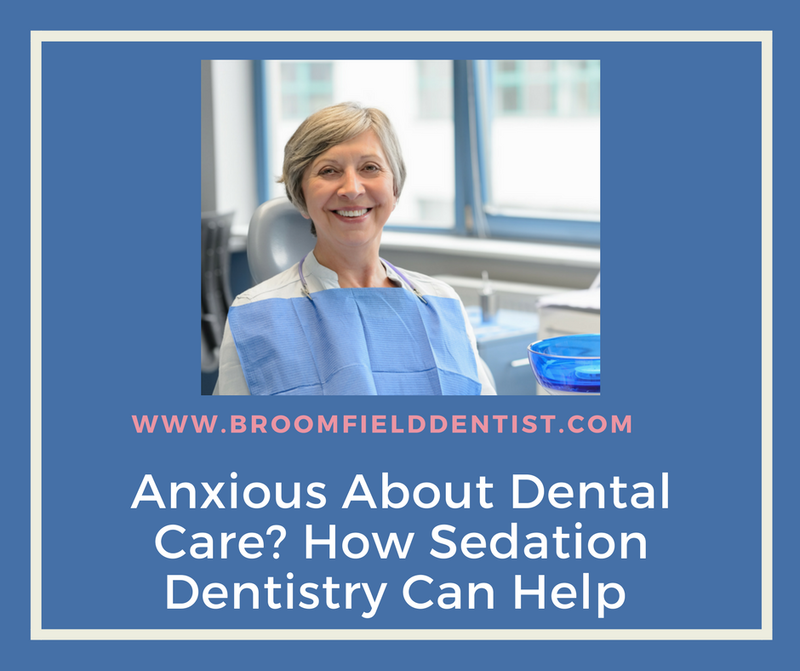 Sedation dentistry can help many patients to get the care they need, from simple cleanings to fillings, root canals, or more extensive procedures. However, not everyone is a candidate for sedation. Sedation is generally not recommended for pregnant patients, patients with allergies to the medications, or (in the case of IV sedation) patients with sleep apnea. Your dentist will be able to determine if you are a candidate for sedation or not. For most patients, some degree of sedation can help make going to the dentist a positive experience. For patients with extreme anxiety or fear about the dentist, it can be a game-changer—helping them to get the care they need. To learn more about sedation dentistry, visit https://broomfielddentist.com/. Dr. Mary Peebles-Turner cares for patients in Broomfield, CO.